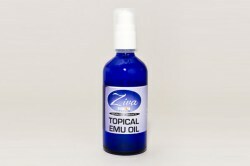 Emu oil is a natural product, The oil composition is very similar to the skin’s natural oil. 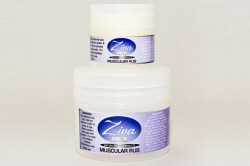 This allows the oil to penetrate the skin quickly and effectively. It contains Emu Oil and can help to condition the lips and prevent dry chapped lips, which can lead to coldsores and fever blisters. Complete Care is a soothing, non-greasy, deeply penetrating moisturising lotion, enriched with natural Emu Oil (a rich source of Vit. E). It can help to restore skin tissue and forms a barrier against damaging elements. 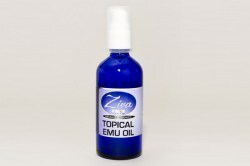 EMUPHORIA ZIVA 100% Natural Topical Emu Oil is anti-inflammatory and high in anti-oxidants. It is similar to our skins natural oil en does not contain phosphor. It penetrates the skin quickly and effectively. Ziva Emuphoria supplies the personal care and well-being industry with Emu Oil products of the highest quality and composition, in order to improve the day-to-day quality of life of users. To develop a single substance that is anti-inflammatory, anti-bacterial, non-irritating, non-comedogenic with healing and moisturising properties might be considered a tall order by some, but nature’s beauty and medicine chest is filled with many surprises. Ziva Emuphoria supplies clients with a range of health, wellness and skin-care products containing a natural ingredient rich in Vitamin E, antioxidants, essential fatty acids and other healing, anti-inflammatory and health promoting ingredients. “For centuries Australian Aborigines have been using emu oil as a natural and potent treatment for burns, wounds, arthritis, muscle pains as well as a skin moisturiser. The key ingredient to our products is high quality emu oil that has been refined and laboratory tested for purity and conforms to SABS, AQIS or FDA rules and regulations. Recent research and laboratory tests have highlighted the many characteristics of the oil that contribute to its effective treatment of a variety of ailments as well as its moisturising and skin rejuvenating capabilities. The human skin is phosphor-lipid deficient. As such, the skin acts as a natural barrier to substances containing phosphorous. The absence of phosphor-lipids in the oil contributes to its ability to effectively penetrate the skin. Another key element to the oil’s powers is the relative high levels of oleic acid it contains. Oleic acid helps to transport the bio-active components within the oil through the skin. The absence of phosphor–lipids combined with the high content of oleic acid makes the oil highly penetrable and an ideal carrier for the active compounds that moisturise, rejuvenate the skin and combat inflammation. Rich in antioxidants and containing a high content of essential fatty acids the oil helps to lower cholesterol and LDL fat levels in the blood, as well as blood pressure and blood sugar levels. The anti-inflammatory agents and antioxidants in the oil reduce inflammation and boost the immune system. It is also a valuable source of lecithin which is essential to the liver’s detoxification functions. 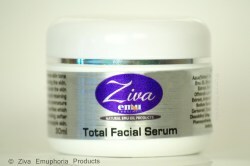 The Ziva Emuphoria product formulations were developed by Professor Aubrey Parsons of the University of Witwatersrand. We have been working in ongoing consultation with an International accredited company to keep our products up to date with the latest technology in order to ensure that we deliver a range of natural and quality products that can be trusted. Each product contains a high percentage of the oil to ensure that maximum benefit is derived from using the products.